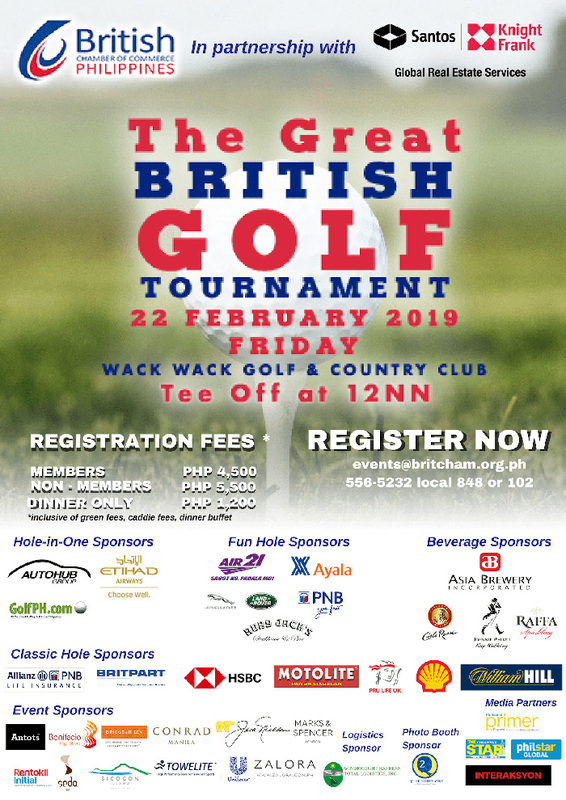 On 22 February 2019, the British Chamber of Commerce will hold its GREAT British Golf Tournament at Wack Wack Golf and Country Club in partnership with Santos Knight Frank. This annual golf challenge brings together golf enthusiasts from the top companies in the country and representatives from the British Embassy. 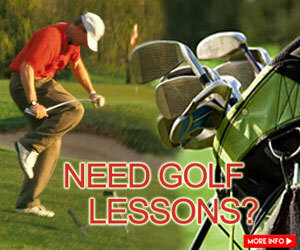 Following the turnout from last year’s tournament, over 100 golf players are expected to attend this upcoming event. 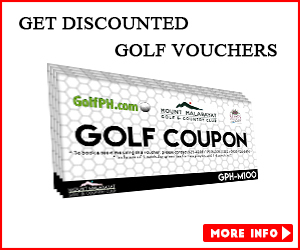 Participants will be vying for the different awards in the Men’s and Ladies’ Division, and will get the chance to win a Vespa scooter from Autohub, an Etihad Airways roundtrip plane ticket to any Etihad online destinations, or a 4-days 3-nights Golf Package to Mission Hills Haikou from Golf PH in the Hole-in-Ones, plus other exciting raffle prizes. Shotgun start is at 12noon and the awarding ceremony/dinner will be at 5pm. To register, email [email protected] or call 556-5232 local 848 or 102. 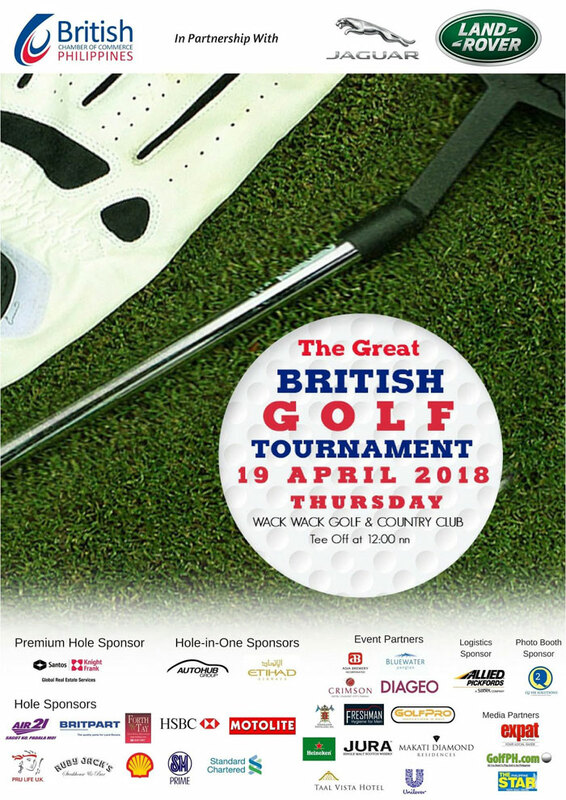 On 19 April 2018, the British Chamber of Commerce will hold its 6th GREAT British Golf Tournament at Wack Wack Golf and Country Club in partnership with Coventry Motors Corporation. This annual golf challenge brings together golf enthusiasts from the top companies in the country and representatives from the British Embassy. 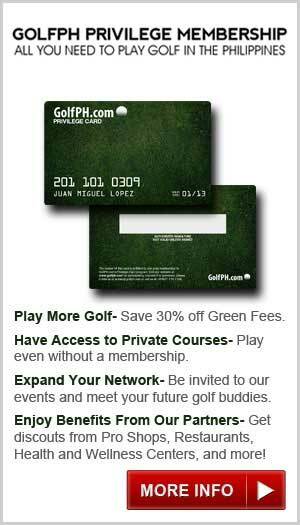 Following the turnout from last year’s tournament, over 100 golf players are expected to attend this upcoming event. Participants will be vying for the different awards in the Men’s and Ladies’ Division, and will get the chance to win a Vespa scooter from Autohub, or an Etihad roundtrip plane ticket to UK in the Hole-in-Ones, plus other exciting raffle prizes.